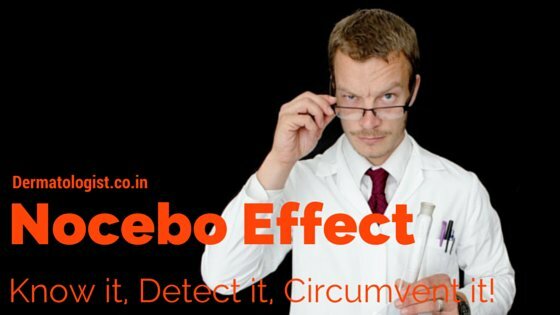 Nocebo Effect - Know it, Detect it, Circumvent it! Nocebo Effect in Dermatology – Know it, Detect it, Circumvent it! Nocebo effect, originally denoting the negative counterpart of the placebo phenomenon, is now better defined as the occurrence of adverse effects to a therapeutic intervention because the patient expects them to develop. More commonly encountered in patients with a past negative experience, this effect stems from highly active processes in the central nervous system, mediated by specific neurotransmitters and modulated by psychological mechanisms such as expectation and conditioning. The magnitude of nocebo effect in clinical medicine is being increasingly appreciated and its relevance encompasses clinical trials as well as clinical practice. Although there is hardly any reference to the term nocebo in dermatology articles, the phenomenon is encountered routinely by dermatologists. 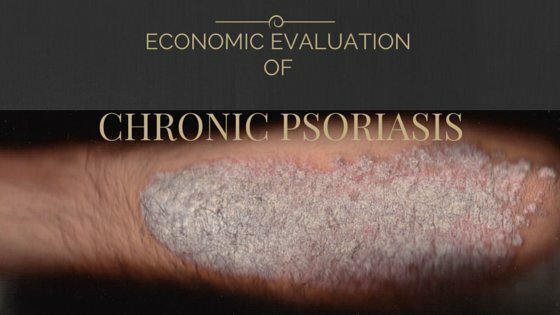 Dermatology patients are more susceptible to nocebo responses owing to the psychological concern from visibility of skin lesions and the chronicity, unpredictable course, lack of ‘permanent cure’ and frequent relapses of skin disorders. While finasteride remains the prototypical drug that displays a prominent nocebo effect in dermatologic therapeutics, other drugs such as isotretinoin are also likely inducers. This peculiar phenomenon has recently been appreciated in the modulation of itch perception and in controlled drug provocation tests in patients with a history of adverse drug reactions. Considering the conflict between patients’ right to information about treatment related adverse effects and the likelihood of nocebo effect stemming from information disclosure, the prospect of ethically minimizing nocebo effect remains daunting. In Dermatology, finasteride is the most common drug associated with a significant nocebo effect. The skepticism about developing its ‘popular’ sexual adverse effects makes the patients highly susceptible to report such symptoms, whether they are actually suffering from the same or not. Nocebo has also been linked to the perception of itch response in a recent experiment. Importantly, nocebo responses have been reported in drug reaction patients, when a drug re-challenge test was conducted. Another drug which seems to be susceptible to nocebo effect is oral isotretinoin. Dr Sidharth Sonthalia completed his MD from University of Delhi. Currently he is practicing as Consultant Dermatologist at his clinic: SKINNOCENCETM in Gurgaon, India. He has more than 25 publications in national & international peer-reviewed journals and many chapters in dermatology textbooks. His areas of interest include pediatric dermatology, pigmentation, hair and nail disorders, Dermatosurgery and clinical dermatology research.